Ever since the election of Donald Trump as new US President, CNN has been broadcasting a lot of news. During the 8 years of Obama administration, CNN more and more broadcasted programs such as Anthony Bourdain's which covers the best in culinary cuisine across the world. My question from CNN is that, weren't there any real news all those 8 years of Obama administration to broadcast? Let's take a look at a recent news broadcast from ABC which really covers economic news of the United States of Obama times (1). Let's ask ourselves, in all those 8 years of Obama administration, weren't there similar news stories for the news outlets like CNN to broadcast? Why were the news outlets basically silent about real international news like Iran and real economic news like the number of homeless population in the US cities during Obama times? My focus is Iran news and have written about "Obama's Failure with Iranian People" (2) and "Trump's Policy Towards IRI and Iranians" (3). I believe in the duty of a journalist to offer all sides of the story when presenting news and to clearly state their own political views as well to avoid misleading the audience as if they have no political stands. But is this what CNN journalists did during the time of Obama administration? Personally I worked for the Persian Service of Voice of America (VOA) (4) at the time of second presidential term of George Bush which he won in competition with John Kerry in 2004. In fact, at the time of that election, I had openly stated that I was voting for John Kerry, nonetheless, after Bush's re-election, I started work at VOA with no problems. In 2008 and 2012, I voted for Obama. But when John Kerry became the US Secretary of State in 2012, I lost my job at VOA. I should note that in 2004, although I voted for John Kerry, I wrote an article entitled "Mr. Kerry, Islamic Republic of Iran Must Go" which is still available on the Internet and was noted in my new article covering the same topic (5). I cannot say for sure if that old article of mine about Mr. John Kerry's attitude towards Islamic Republic of Iran cost me my job at VOA in 2012 during John Kerry's tenure at the State Department but I can say for sure that ideas like what I had expressed about Islamic Republic of Iran were neither broadcasted by journalists at VOA during the second term of Obama administration nor such views that are the viewpoint of a large group of Iranian people, were presented by independent press like CNN. Wasn't the press intentionally censoring the views of part of Iranian diaspora because of US foreign policy of John Kerry's time? Why didn't they present a balanced view of the Iran news as journalists when Mr. Obama was making his deal with Islamic Republic of Iran? Were these news outlets doing their duty as independent press at that time? 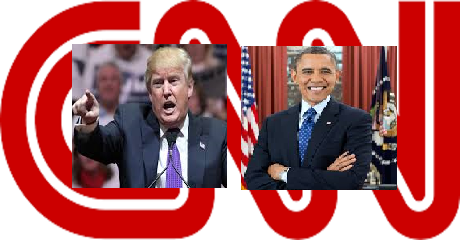 I am happy that CNN and other news agencies are today working the way independent press should work in a democracy like the United States, but I am just sad that they failed in their duty as journalists during the 8 years of Obama administration.